The second trailer for The Walking Dead: The Final Season, providing a new glimpse of the upcoming season premiere. You can download the trailer now by following the links above. 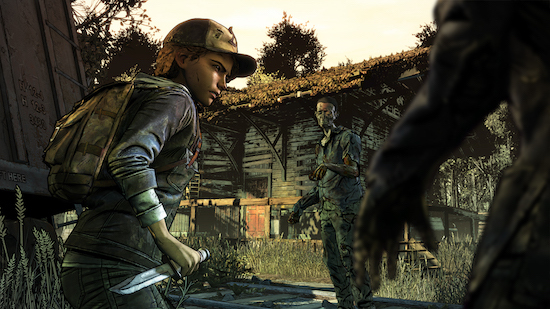 Telltale also announced plans to conduct a live gameplay demo at San Diego Comic-Con on Thursday, July 19. Episode one of The Final Season will be available for download starting August 14, 2018 on PC, PlayStation 4, and Xbox One across all regions. The Final Season will also come to Nintendo Switch later this year. The game is currently available for pre-order on PC, PS4, and Xbox One for $19.99. All players who pre-order The Final Season will receive download access to each of the season's four episodes as they become available. Players who pre-order on PS4 and Xbox One will also receive immediate access to The Walking Dead: The Telltale Series Collection, which gathers all 19 existing episodes of the award-winning series into a single package.